President Ram Nath Kovind has approved the Election Commission of India's (ECI) recommendation for disqualification of 20 Aam Aadmi Party (AAP) MLAs for holding office of profit. The MLAs who have been axed are Adarsh Shastri (Dwarka), Alka Lamba (Chandni Chowk), Anil Bajpai (Gandhi Nagar), Avtar Singh (Kalkaji), Kailash Gahlot (Najafgarh), Madan Lal (Kasturba Nagar), Manoj Kumar (Kondli), Naresh Yadav (Mehrauli), Nitin Tyagi (Laxmi Nagar), Praveen Kumar (Jangpura), Rajesh Gupta (Wazirpur), Rajesh Rishi Janakpuri), Sanjeev Jha (Burari), Sarita Singh (Rohtas Nagar), Som Dutt (Sadar Bazar), Sharad Kumar (Narela), Shiv Charan Goel (Moti Nagar), Sukhbir Singh (Mundka), Vijendar Garg (Rajinder Nagar) and Jarnail Singh (Tilak Nagar). They had been appointed as Parliamentary Secretaries to the Ministers in March, 2015. The question of their disqualification had then been brought up by a petition filed in June, 2015 before the President. The Petition, filed by Mr. Prashant Patel, had sought their disqualification under Section 15 of the Government of National Capital Territory of Delhi Act, 1991. While the initial complaint was against 21 MLAs, Rajouri Garden MLA Jarnail Singh resigned from his post to contest elections against former Punjab Chief Minister Parkash Singh Badal in 2017 state election. In response, the Delhi Legislative Assembly had then passed the Delhi Member of Legislative Assembly (Removal of Disqualification) (Amendment Bill), 2015, excluding Parliamentary Secretaries from 'office of profit'. The President had, however, refused to give assent to this Bill. Around the same time, the Delhi High Court struck down the posts of Parliamentary Secretaries. The MLAs had then approached the ECI, contending that it shouldn't entertain the Petition against them, claiming that the High Court had already set aside their appointment as Parliamentary Secretaries. The ECI had, however, not accepted this reasoning and had recommended their disqualification. Thereafter, the MLAs had scurried to the High Court for interim protection. The Court, however, refused to grant them relief and expressed displeasure over their conduct for the two years during the pendency of the proceedings before the ECI. Justice Rekha Palli had rapped the MLAs for using their Petitions before the High Court as a shield to avoid participating in the ECI proceedings. While the Petition was posted for Monday, the President's order notifying the disqualification came on Sunday, rendering their last attempt at saving themselves infructuous. 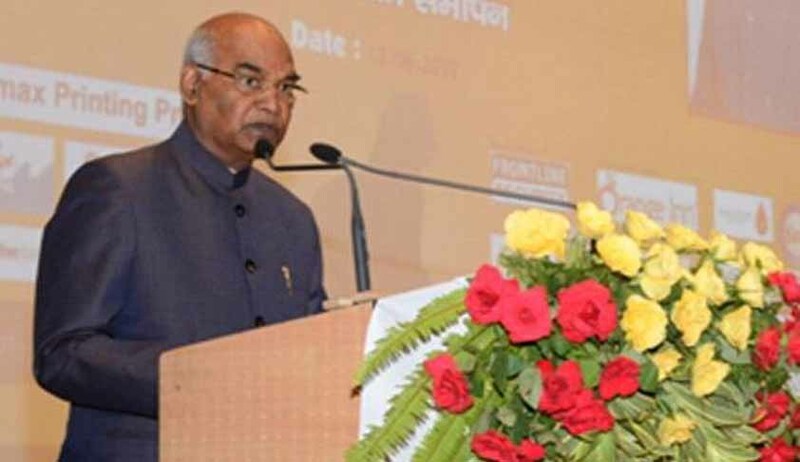 In his order, the President has ruled, "Now, therefore, having considered the matter in the light of the opinion expressed by the Election Commission of India, I, Ram Nath Kovind, President of India, in exercise of the powers conferred on me under section 15(4) of the Government of National Capital Territory of Delhi Act, 1991, do hereby hold that the aforesaid 20 Members of Delhi Legislative Assembly stand disqualified for being members of the said Assembly.